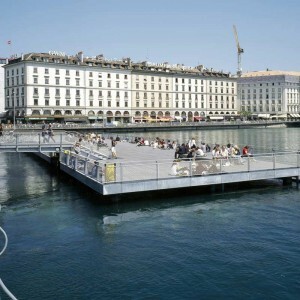 Based in Geneva, the Atelier Descombes Rampini (ADR) was founded in 2000 by Julien Descombes and Marco Rampini. 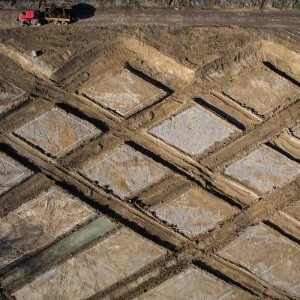 The practice develops its activity around urban and/or natural planning projects, as well as development surveys on a regional level, thus engaging in large-scale projects. 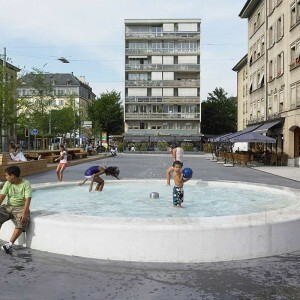 The experience of Atelier Descombes Rampini in large-scale planning has evolved particularly through development of master plans for mobility and public spaces throughout the region of western Switzerland. 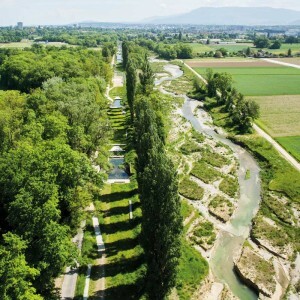 On a more local scale, the practice is busy preparing the master plan of the Eaux-Vives Station district in Geneva (CEVA) and the Bypass landscape master plan in Thun, as well as all aspects of the public space in the design of the master plan of the new district of Cherpines (Plaine de l’Aire, Geneva). 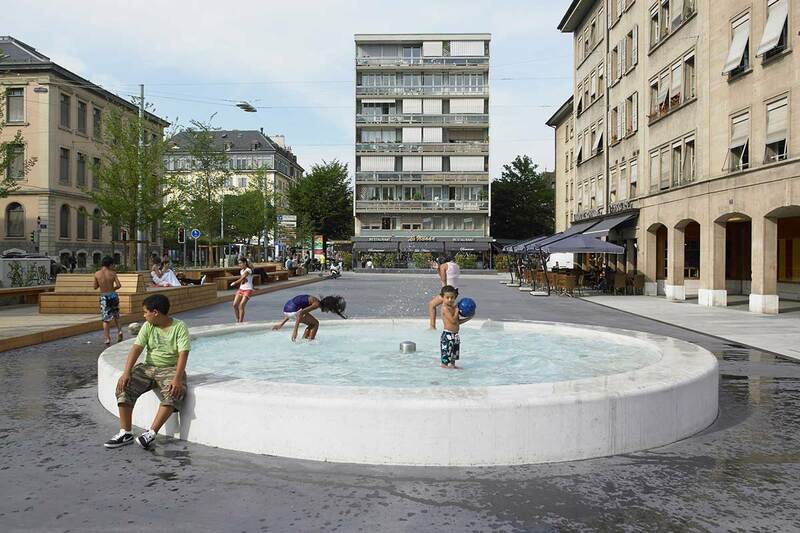 Atelier Descombes Rampini is also actively working in collaboration with FHV architects on the Vernets project in Geneva, the call for tender for which it won, and for which it is developing a block with housing. 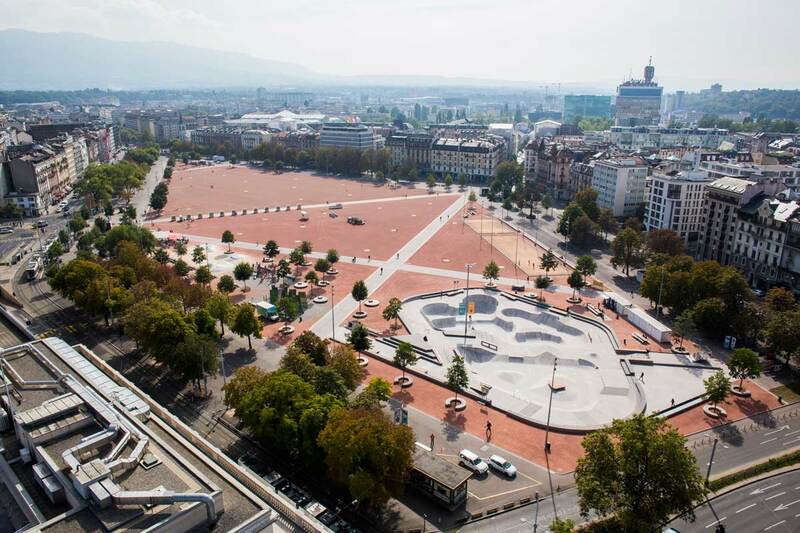 The practice also gained solid experience in the realisation of collective spaces open to the most diverse activities: development of the Plaine de Plainpalais and a bike station, both in Geneva; developments of Flon public spaces in Lausanne, the Place Nautique in Lyon, the Turbinenplatz in Zürich and a large plaza in Antwerp. 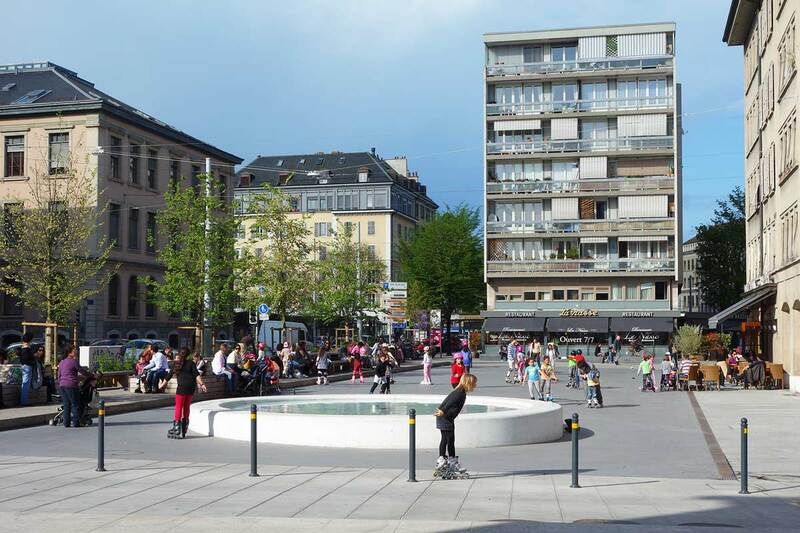 These spaces, which include urban promenades, playgrounds, market areas and snack bars, all meet the needs of the population. development of general concepts to realisation. 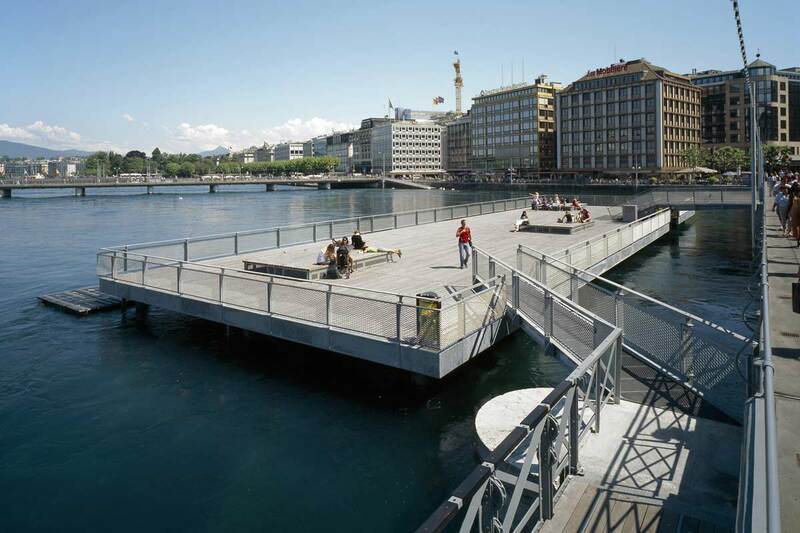 The practice has carried out major projects on a primarily natural environment, the particulars of which require experience in the treatment of natural areas: the revitalizing of the waterways of the Aire river and Eaux-Vives beach in Geneva. 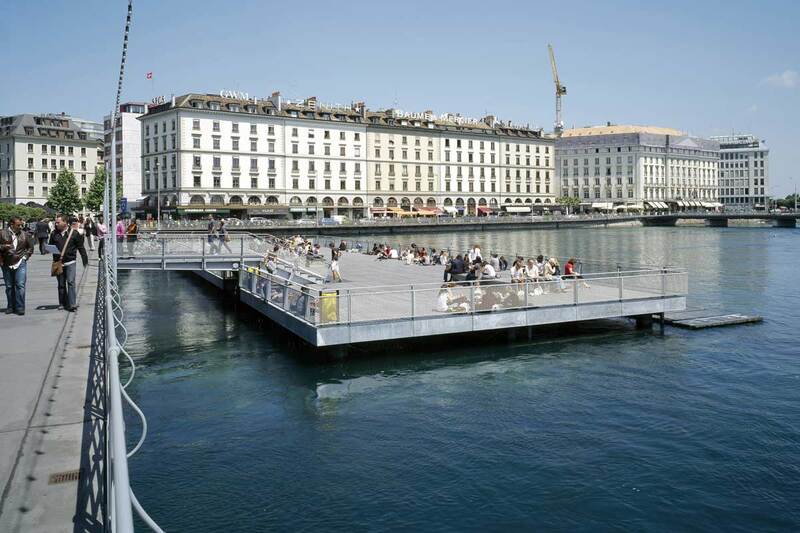 Moreover, it has invested in projects that take on board environmental issues in urban settings: Parc de Saône aquatic gardens in Lyon; the Eaux-Vives beach in Geneva. 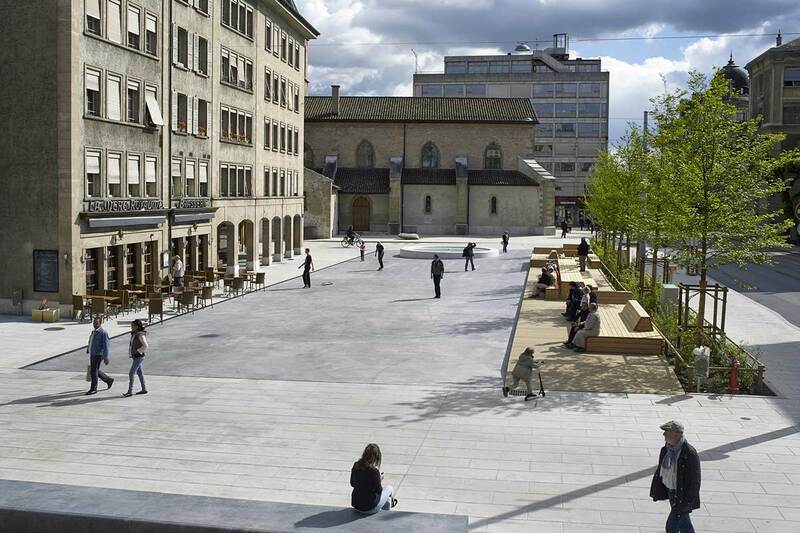 The firm has also developed, in its various projects, a specific practice in the design of street furniture (benches, tables, table fountains, circular seating). 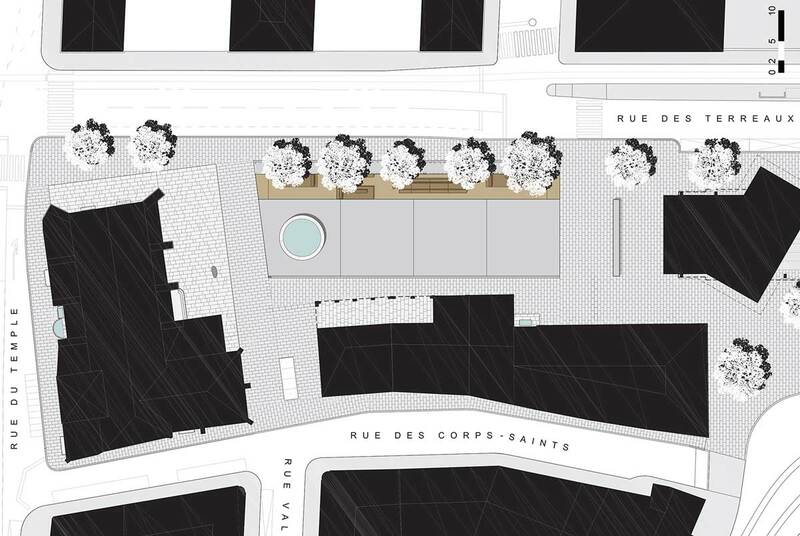 Atelier Descombes Rampini shares concerns regarding usage. 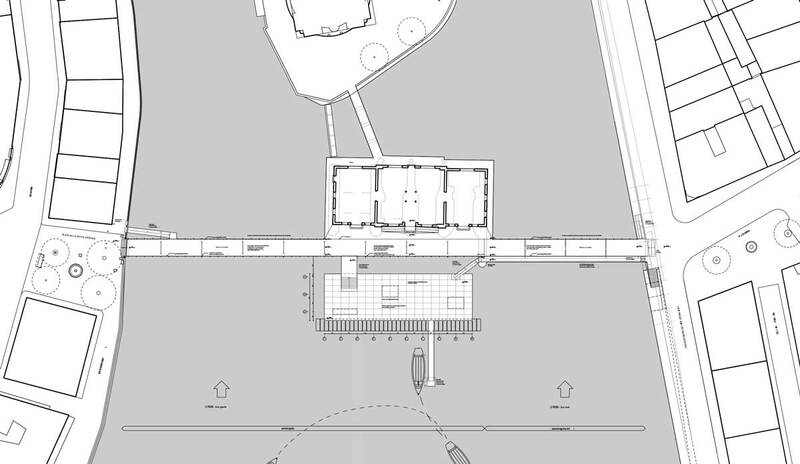 It rethinks spaces as meeting spaces and areas for expression. 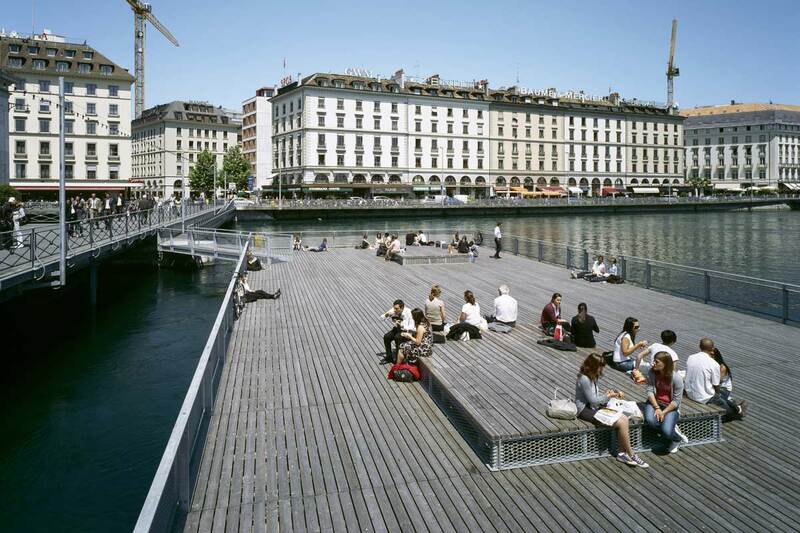 Through its projects, Atelier Descombes Rampini contributes to the emergence of a new urban culture, alive and collective. 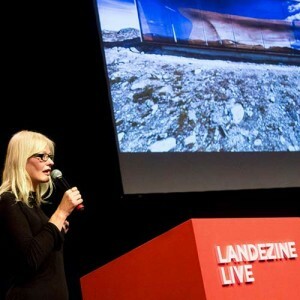 Each project is a new question, an opportunity to question our relationship to landscape and public space, an opportunity to formalise our ambitions and intuitions with an attitude that convenes the qualities of what exists and must be taken into consideration, along with the potential of its transformation. 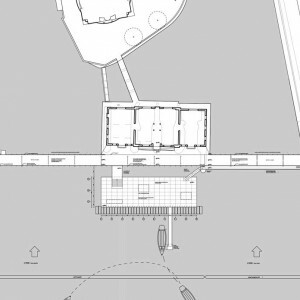 From a situation and a given time, but also from the uses, the organisation of the proposed materiality, it is for us, in the city or within the region, a question of producing a common area in both senses of the term. “Common” as an element of identity and identification, but also “common” as in facilities which host the multiplicity of scenes of everyday life. 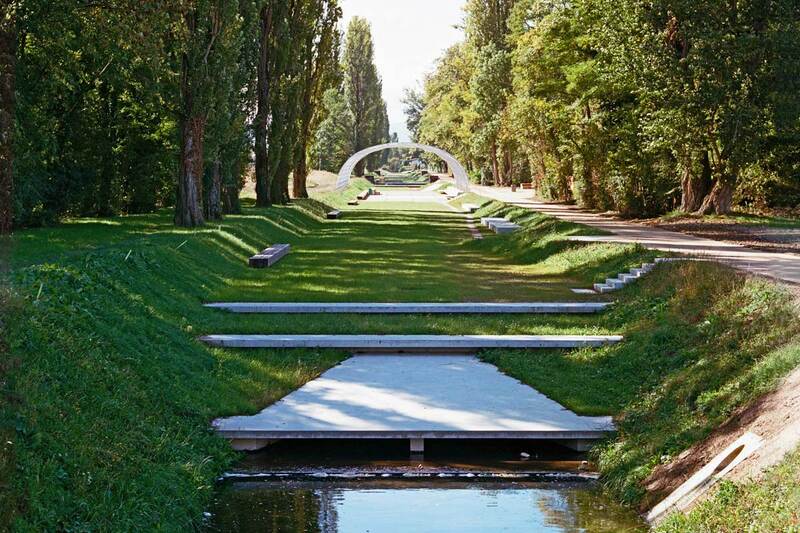 The Aire river flows through valleys historically devoted to farming. From late 19th century it was progressively canalized. 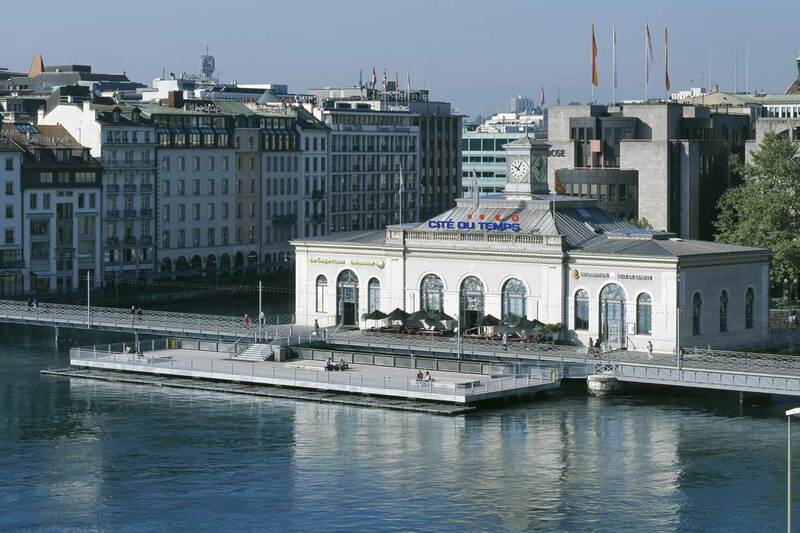 In 2001, the State of Geneva opened a competition with the idea of restoring the river to its original shape and meanders by destroying the canal. 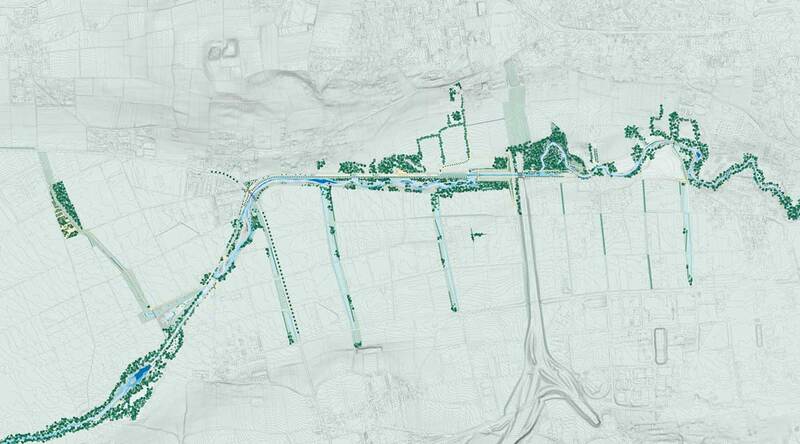 We instead proposed to combine the clear territorial cut of the canal with a parallel new vast divagation space for the river. 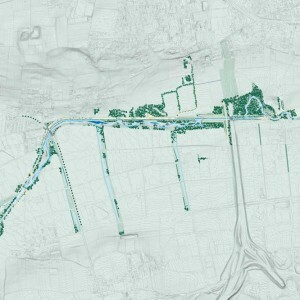 In the process the canal became the pointer for the transformations, a reference line giving the possibility to understand a before and an after. 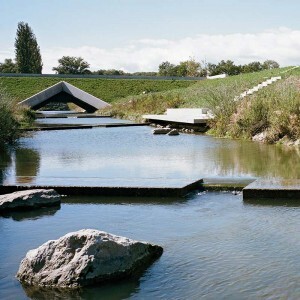 The complex organisation of the design associates the new riverbed and a serie of gardens in the former canal. 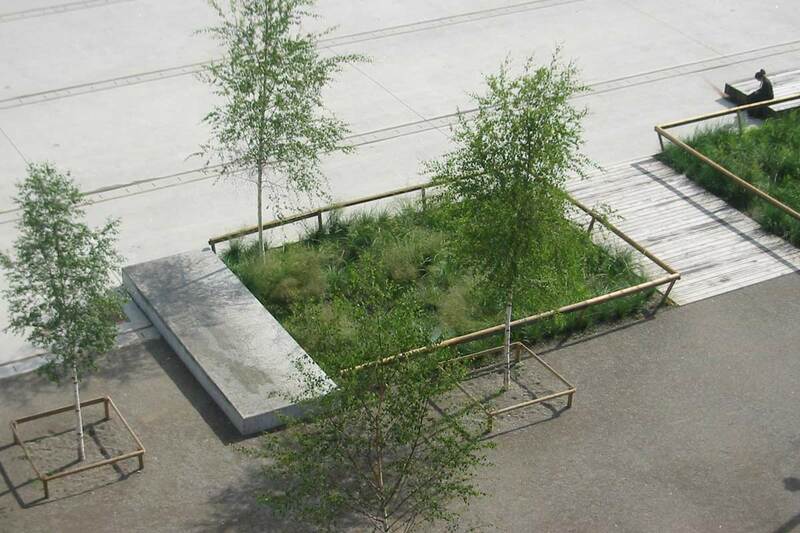 In reality the whole design becomes a linear garden. 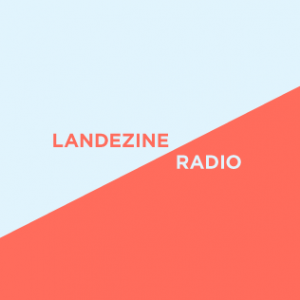 Facing the watershed, the original morphology of the mountains and the traces of human modifications, this rivergarden organises the situations, the views, the confrontations, introducing into this fragile and precious territory questions, worries and hopes. 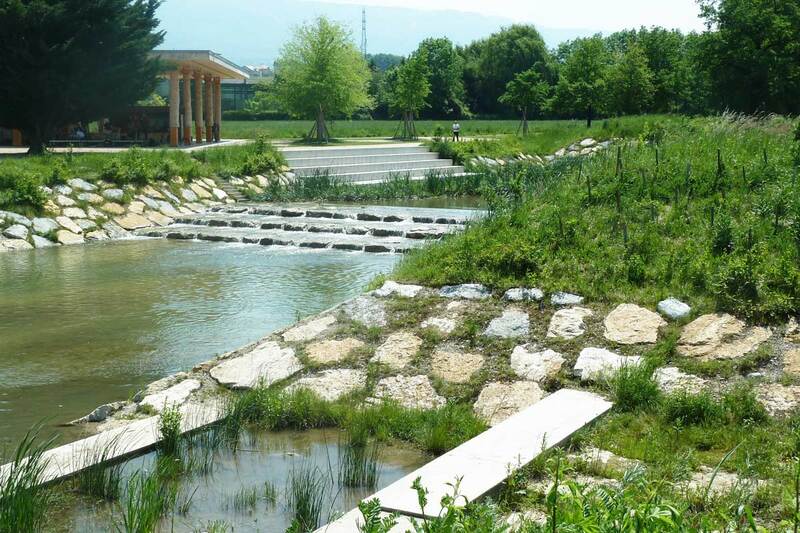 This open-air laboratory is at its maximum with the design of the riverbed. 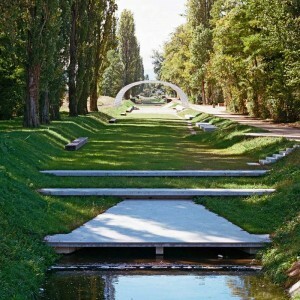 There, conscious of the useless effort to design a fixed riverbed– we risked a launching pattern. This diamond-shape diagram opens a complex serie of undetermined channels for the flows. One year after the flows invaded the new river space, the results are beyond our most optimistic expectations: the river flows displaces diverse materials and the initial geometrical matrix of lozenges gives birth to an extreme diversity of the fluvial geomorphology. Morning, noon and evening, night and day, for the locals and people passing through, who are numerous. 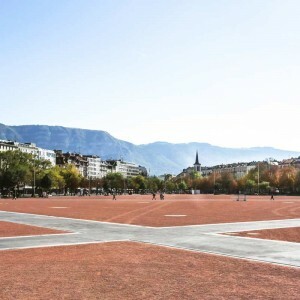 On your way into the town centre, between lectures, after a show at the Saint-Gervais Theatre, shopping on Saturday, after-school teatime, on your way to Cornavin Station, Saint-Gervais Church, or a party at the Salle du Faubourg community centre. 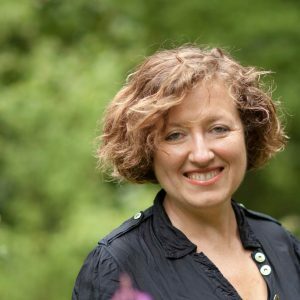 For a drink, tea, a local festival, for a paddle, a quick snack, to discuss current affairs or make small talk. 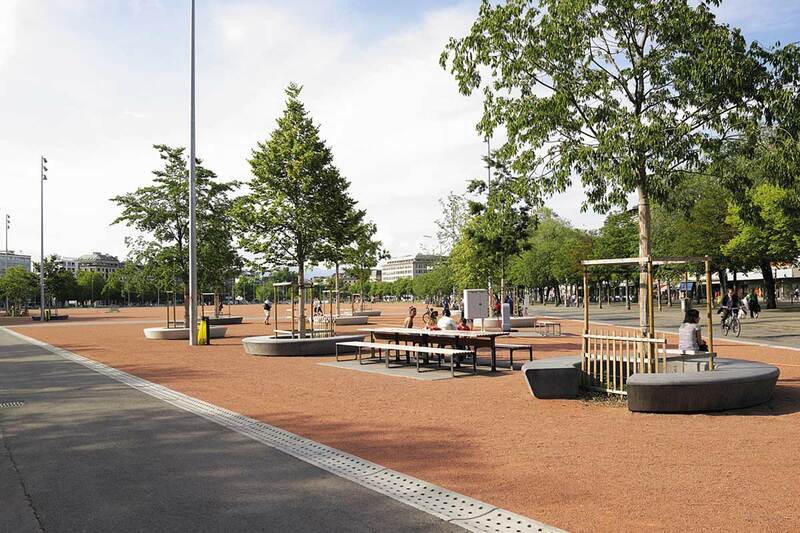 On the edge of town, along the town’s boulevards, an opportunity for inhabitants and other users of the town centre to take a break. 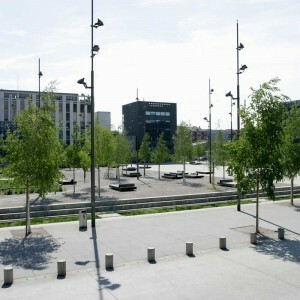 At the centre of the island, a square, a large area of slate-coloured paving stones, with a hedge along the edge of the boulevard, protecting it from a direct view of the traffic. 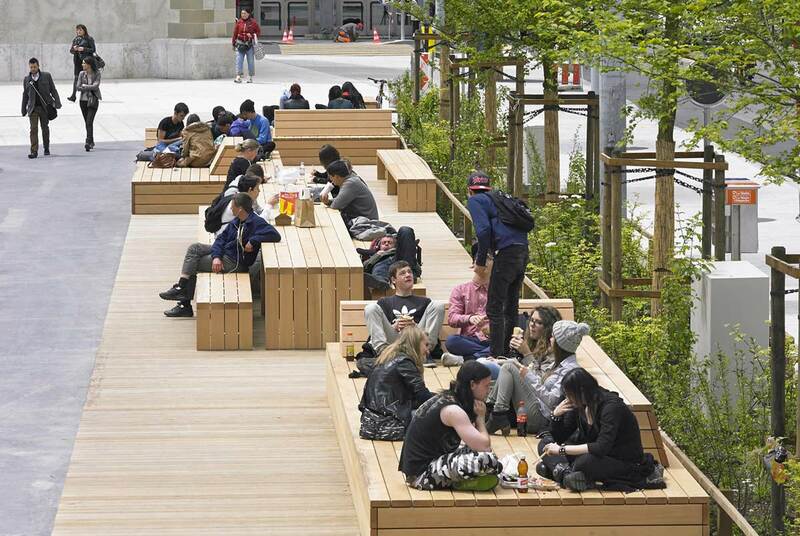 Accompanying this planted strip, a large wooden platform hosts benches and tables – supports for the multiple activities of those using the space. 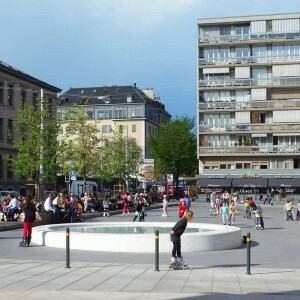 On the paving stones, a concrete basin supplied with water from the existing fountain. 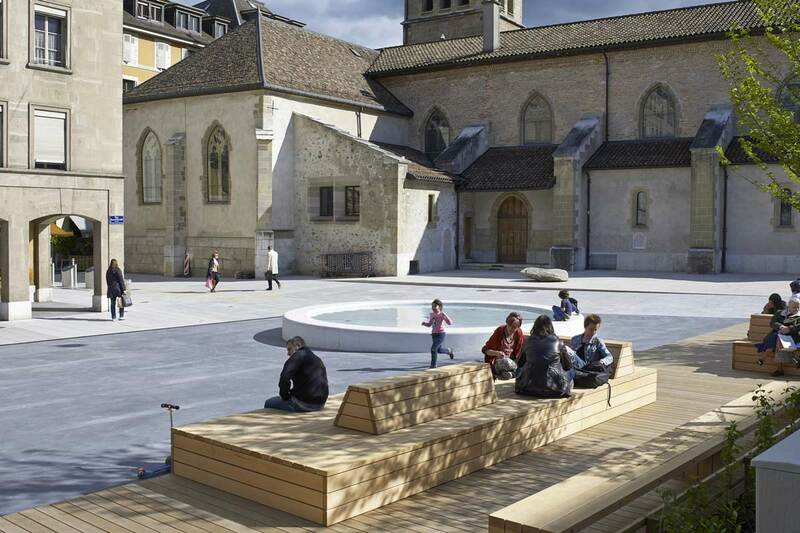 Around the Church of Saint-Gervais, a pale stone forecourt frees up space around the entrances. 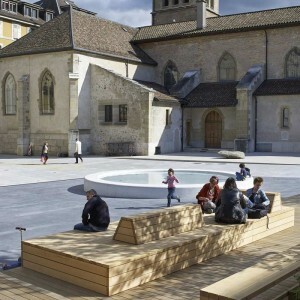 In the shade of the walls, benches face onto the square. The Plaine de Plainpalais is an island resulting from the merging of old meanders of the Arve River. 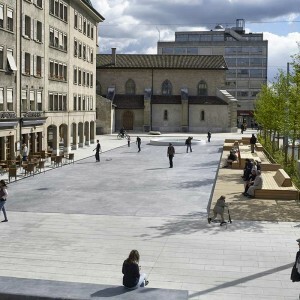 An open space at the foot of the old town fortifications, it has been woven into the urban fabric during the extension of the town’s outskirts. 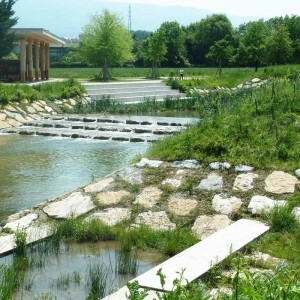 Gradually planted along its edges, for centuries it has hosted multiple activities. 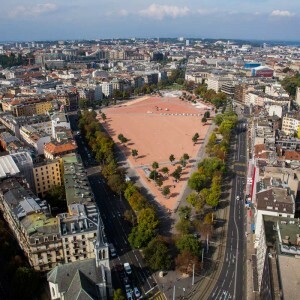 The scene of major transformations during the 19th century, the Plaine is currently undergoing a complete redevelopment in order to continue to meet the challenge of hosting large events while being a major public open space in the heart on the city. 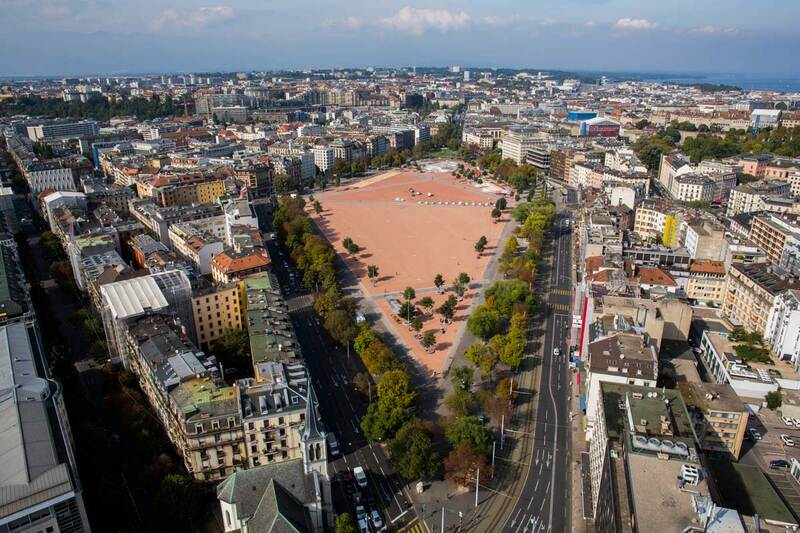 The project is being developed over its seven hectares in three stages: a full refurbishment of the ground with crushed granite from Beaujolais and setting up technical infrastructure for the use of circuses, fairs and big events likely to be set up in the central part. 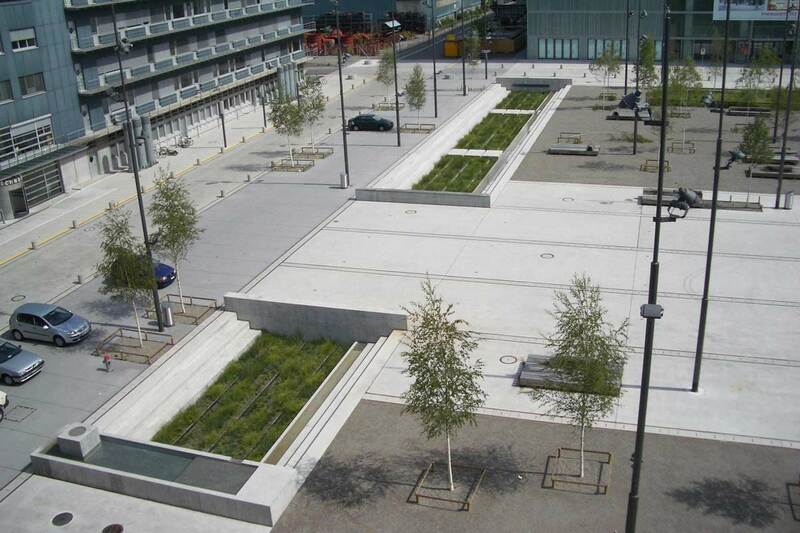 Large transverse paths oriented towards the main streets of the district allow practical, comfortable crossings. 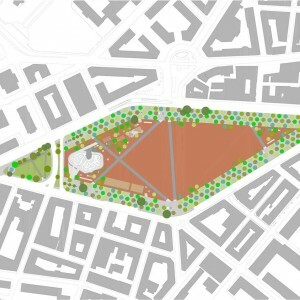 On its northern extremity, triangles formed by the paths host a skate park and children’s playgrounds surrounded by generously planted areas. 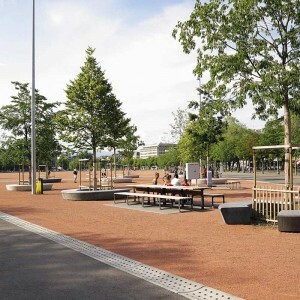 This planted level is renewed and reinforced on the whole of its peripheral area by a triple row of trees under which take place the daily market activities. 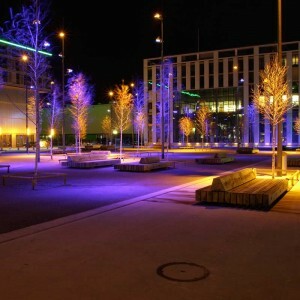 This provides a vast promenade lined with benches, fountains and lighting, restoring quality to this unique area. 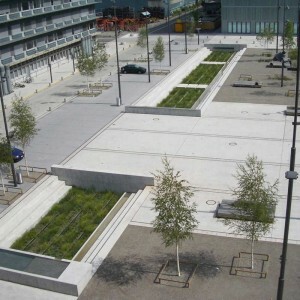 On its northern extremity, the Harry Marc Park has been conceived as a large garden, with flowers growing here and there. 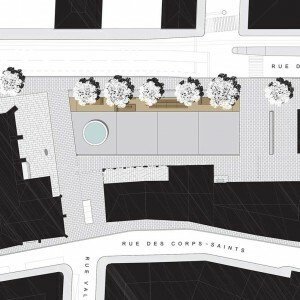 The Fil du Rhone project was born from reflection on the importance of the space occupied by a river in a city, and this at a time when the river was undergoing a profound modification of the water regulation system when, simultaneously, measures were being taken to reduce traffic flow in the town centre, and, finally, when most old industrial buildings were destined for new functions. 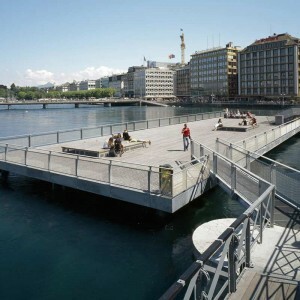 The current situation of the site is the result of successive modifications of the city’s relation to the river. 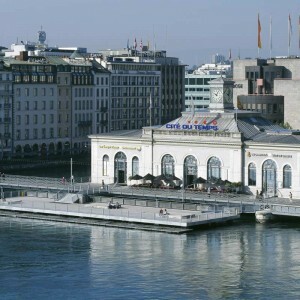 The banks of the river have never ceased to move and the water that penetrates right into the heart of the city has provided a terrain for new buildings. All along the river are bridges and squares that are so many anchorage points between city and waterway. 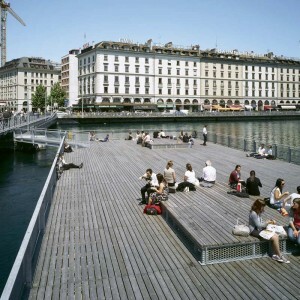 From the entirely built environment upstream to the banks planted with trees downstream, the space occupied by the river is a major stake in the improvement of the quality of public spaces. 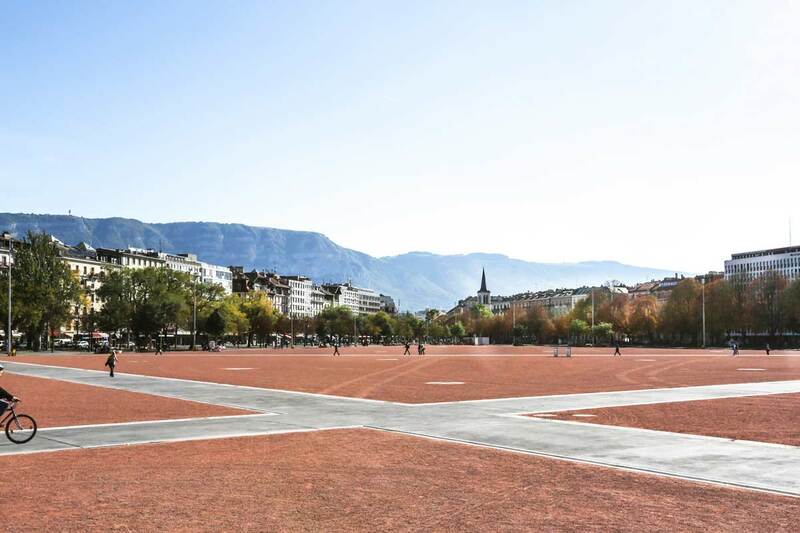 The restructuring of the banks of the Rhone puts this site on an equal part with urban parks: a vast, open public space in the city. 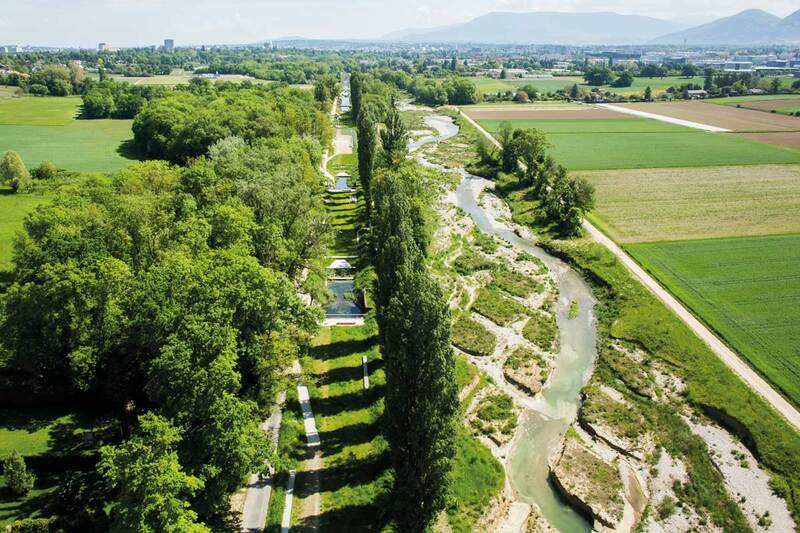 The project of Le Fil du Rhone establishes a series of proposals aimed at the improvement of public spaces in relation to the river. 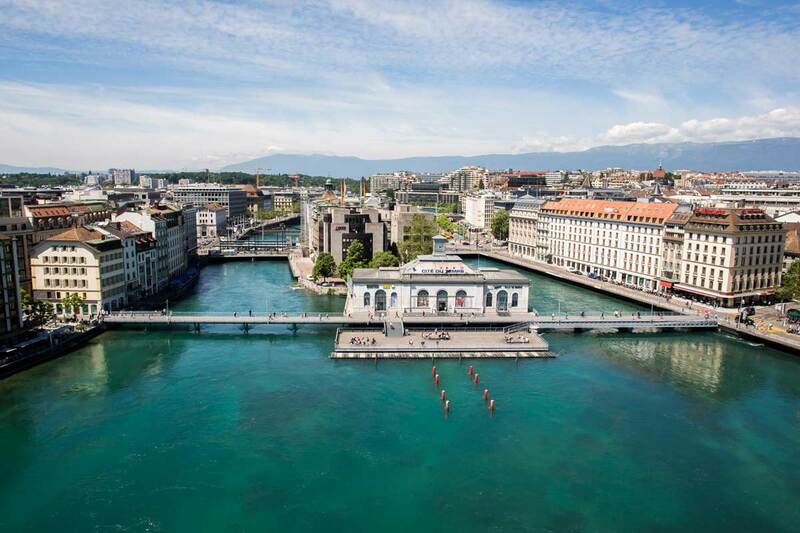 The Machine bridge project is aimed for one thing at the complete restoration of the 19th century metal work, at making it accessible to people with reduced mobility, and also at the realisation, in echo of the central building, of a vast public plaza in direct relation to the water. 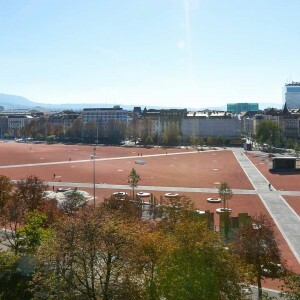 Located in the centre of the Zürich West industrial area currently being redeveloped, Turbinenplatz is the largest public space there. 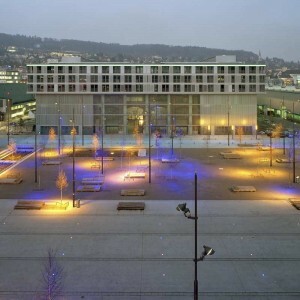 Its urban design gives it an atmosphere that has made it a place of reference, with a strong identity. 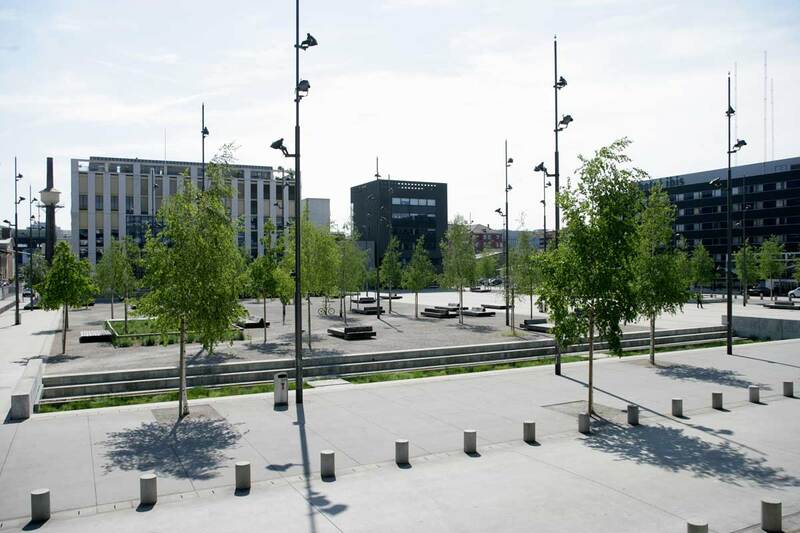 It is a public space of generous proportions, almost one and a half hectares, the size of which is highlighted by the uniform treatment of the ground – blasted concrete – that extends up to the facades of the buildings. 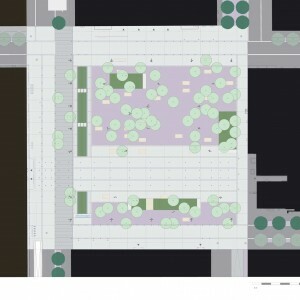 The streets that surround the plaza are integrated into its development, thus creating a pedestrian priority zone. 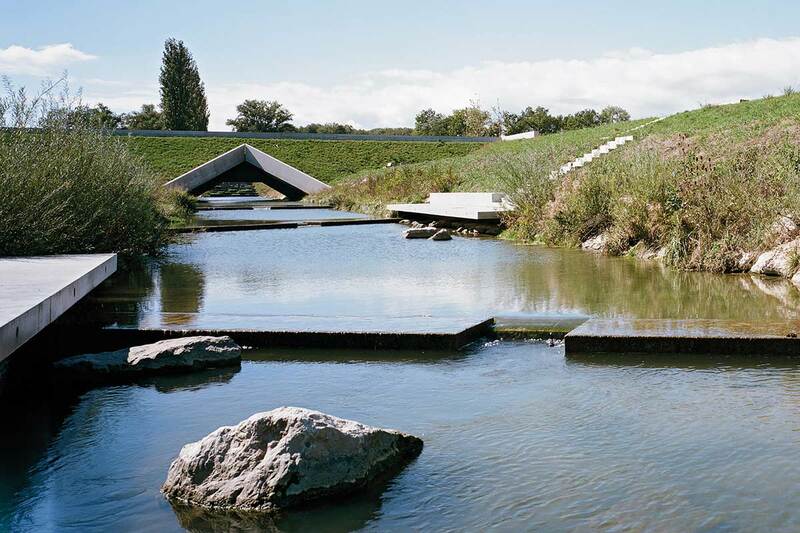 A network of gutters collects all rainwater and conveys it to a large infiltration basin. 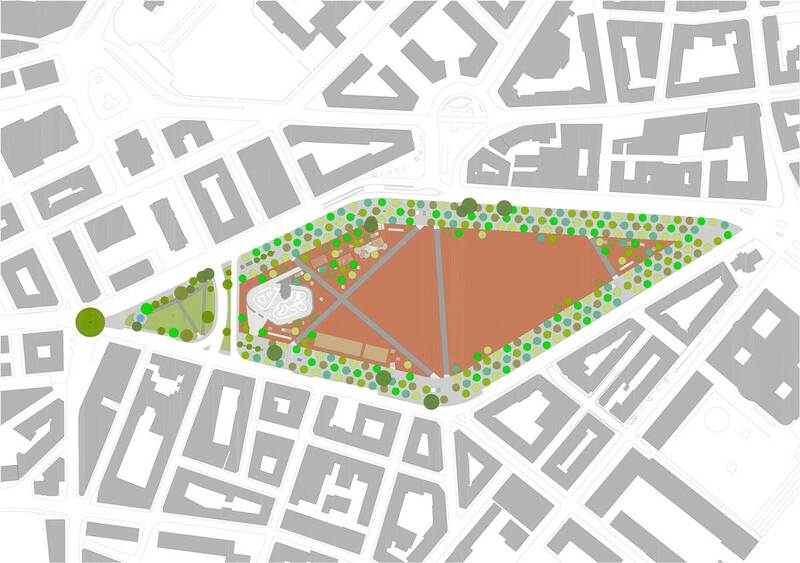 The implementation of this hydraulic system – in addition to its ecological value – forms the underlying structure of the plaza’s layout. 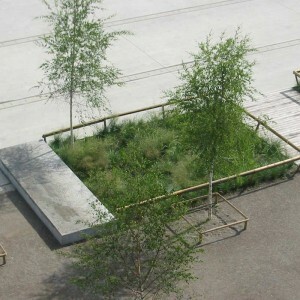 In this first structure of the ground are silver birch groves and oak benches. 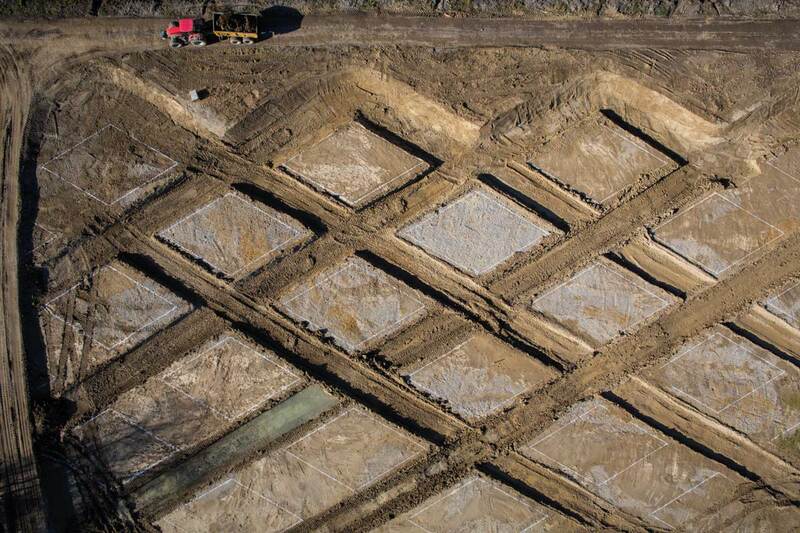 Thanks to their free distribution, this creates a variety of densities, situations and atmospheres. 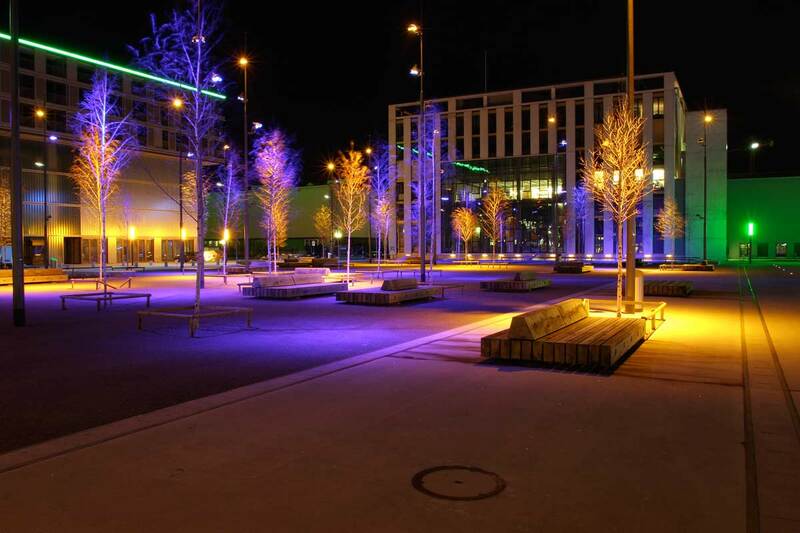 With their white trunks, their fine foliage and their beautiful silhouettes, the birches populate the Turbinenplatz. 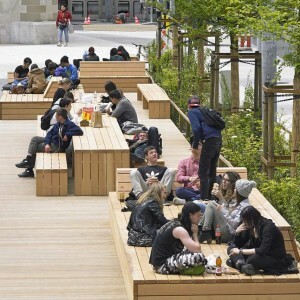 Thanks to their size, the benches comfortably accommodate one or more people, and the angle of their back rests lends them to multiple postures. 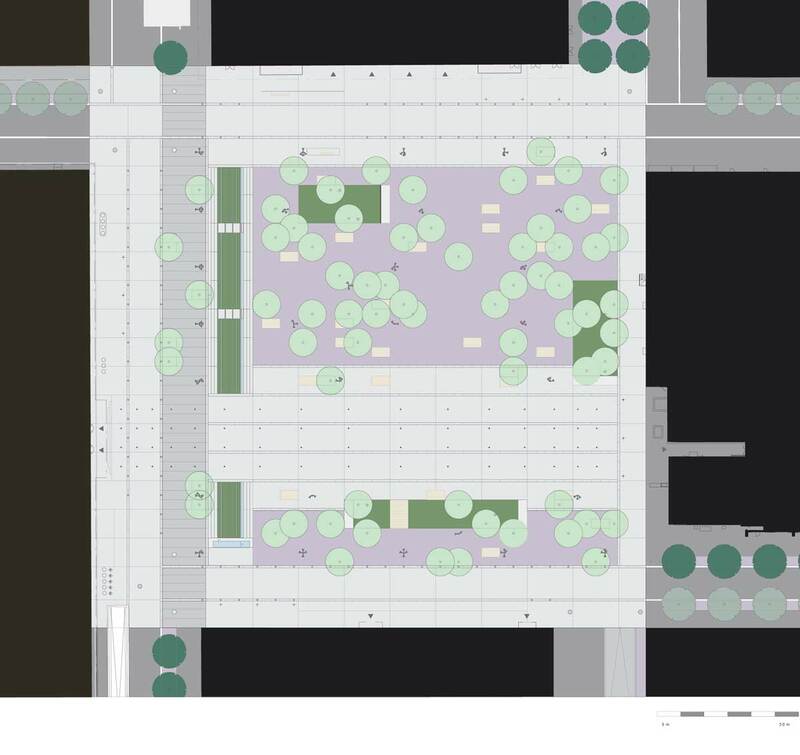 While leaving the composition open, three large “flowerbeds” surround the central portion of the plaza. 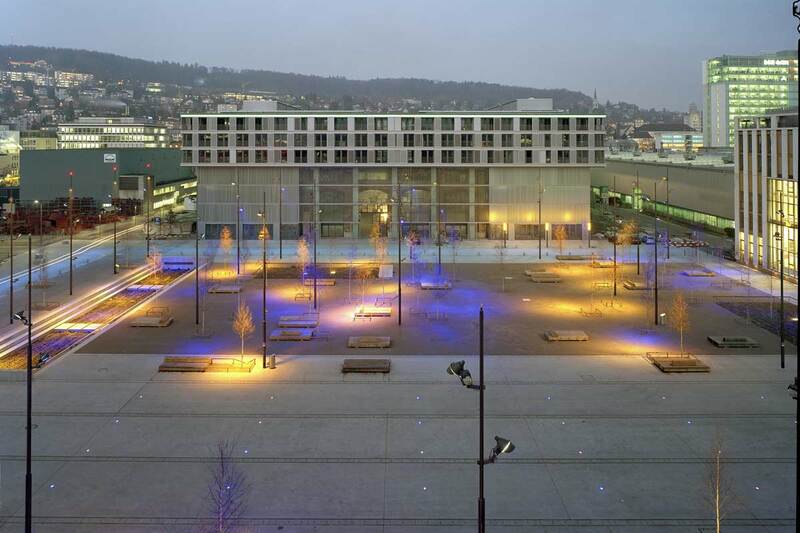 After nightfall, a play of blue and yellow-tinted lights illuminates Turbinenplatz, creating a nocturnal atmosphere that adds to its uniqueness.